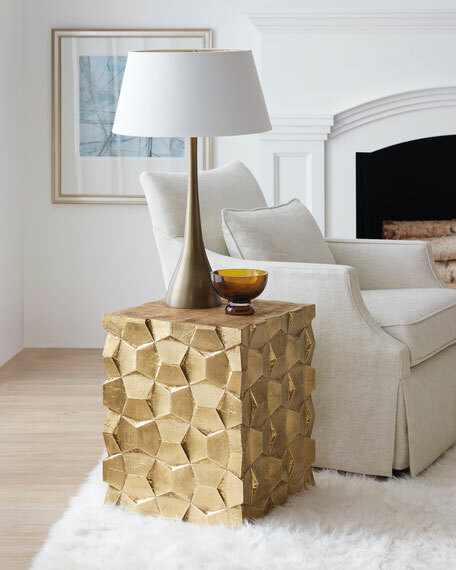 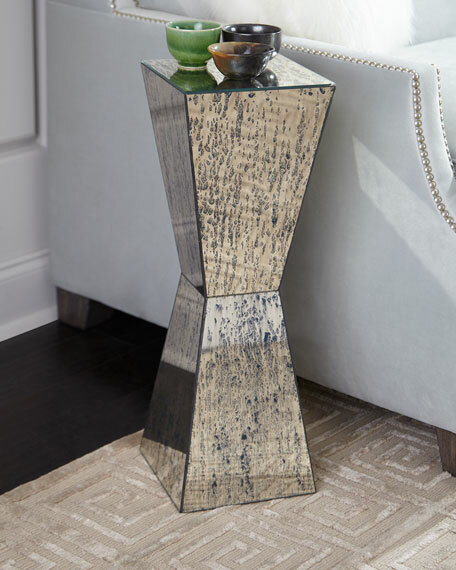 The ultimate in luxury this innovative end table option affords the look of a gold nugget with an organic story. 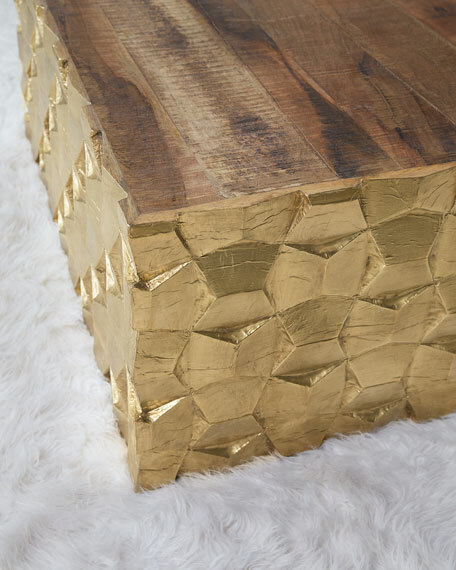 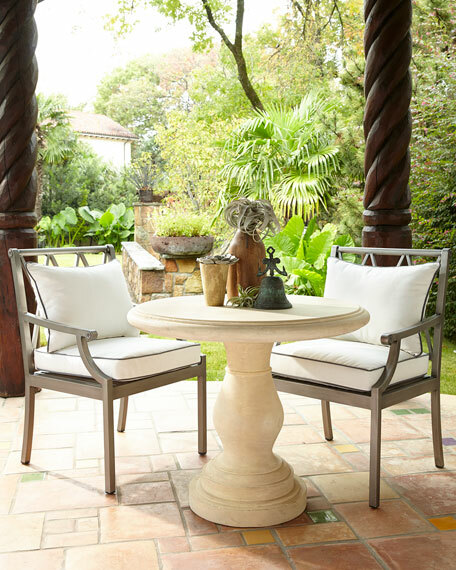 The exterior is fashioned from a gold brass foil and supports a natural solid wood top. 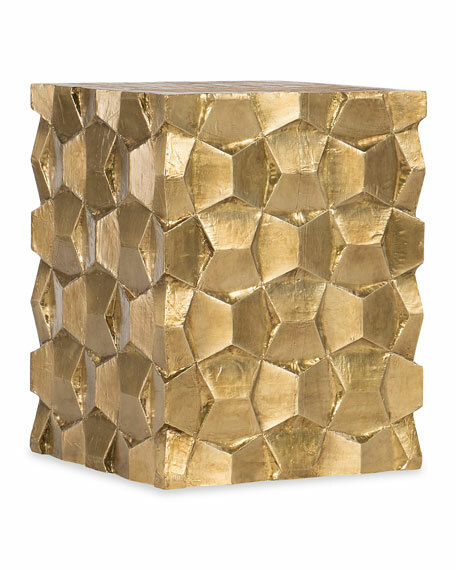 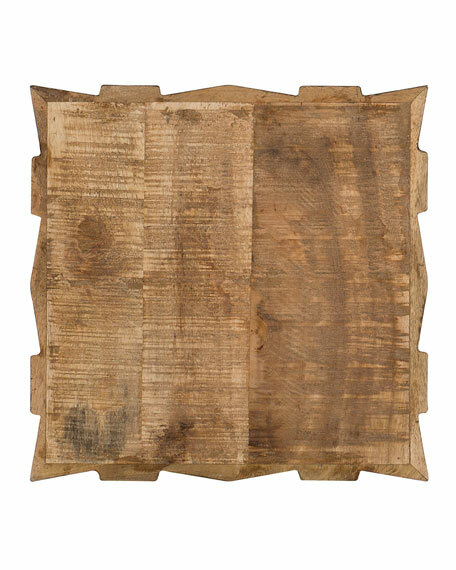 The square shape is highlighted by the textured gold sides. 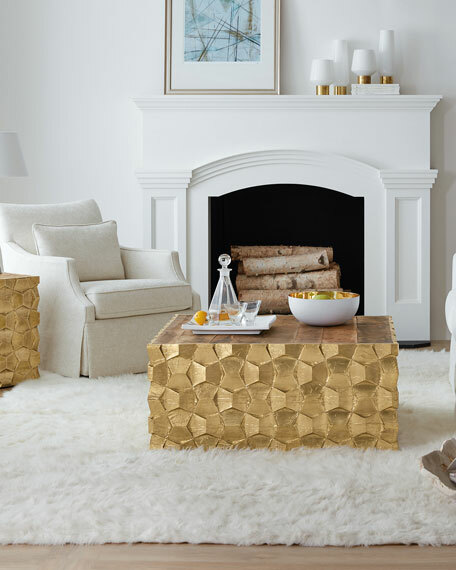 Mango solids and brass foil. 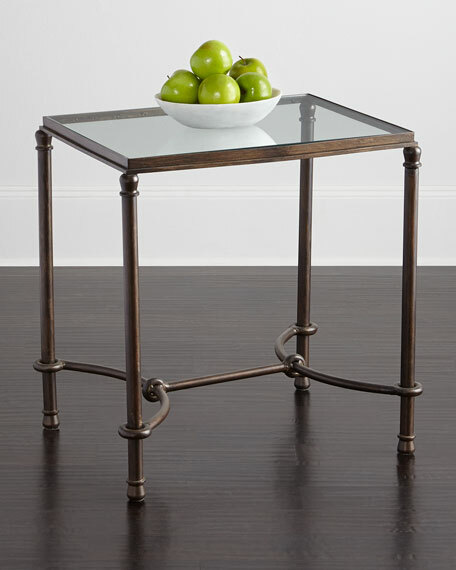 Handcrafted end table.Design inspired by ancient horse bridles.Forged iron with a hand-painted rustic-bronze patina finish.Tempered glass top.Assembly required.25"W x 19"D x 26"T.Imported.Boxed weight, approximately 44 lbs. 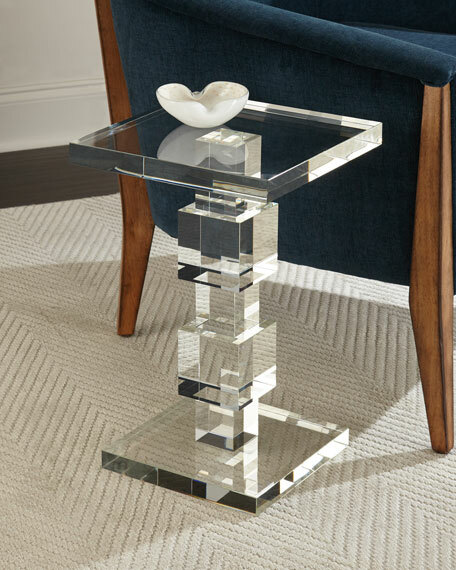 Please note that this item may require additional shipping charges.